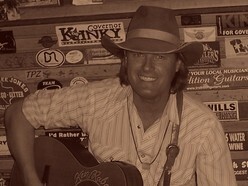 South Dakota raised but long time Texas-based, KEN RABA is a subtle master of classy Cowboy Country songcraft. He’s the real deal too… he’s worked as a ranch hand, sheepshearer and wrangler, he’s broke horses to hitch and ride. Yep, he’s one cool dude and a heckuva nice guy to boot.